Virtualitics is an emerging technology platform that allows users to analyze and visualize multivariate data in multiple dimensions. 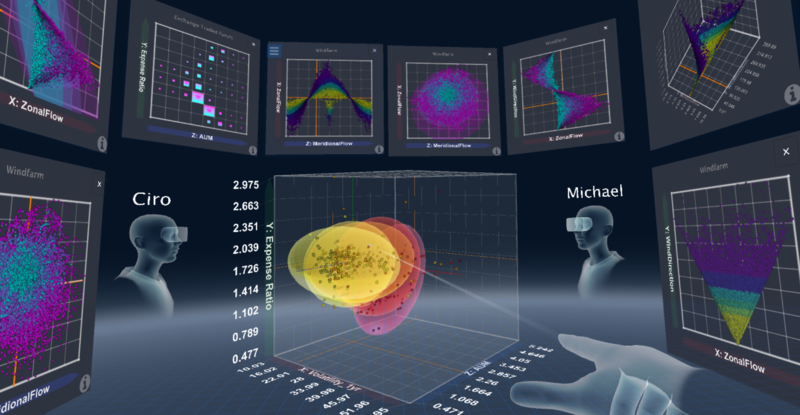 The platform also includes a VR component, which allows researchers to meet with their colleagues in a virtual space to discuss, explore, and present their data in real-time. While the platform is still in development, researchers at OU have the option of testing out the program and offering feedback through December. Attendees at the workshop will have a chance to learn more about the options available for data analysis in Virtualitics as well as to try the program for themselves. If you have a data set with multiple variables, we encourage you to bring it along to visualize in Virtualitics!